After a splash of sparkling wine, A Day in the Life guests venture to the apiary with an expert beekeeper for some honey tasting and to learn about the symbiotic relationship between the garden and bees. Next is a five-course lunch, prepared with ingredients from the garden and paired with Ram's Gate chardonnay and pinot noir. The day ends with a trip to the cellar together with winemaker Jeff Gaffner, who guides a tasting of wine straight from the barrels. $295 per person. Two weeks' advance notice required. 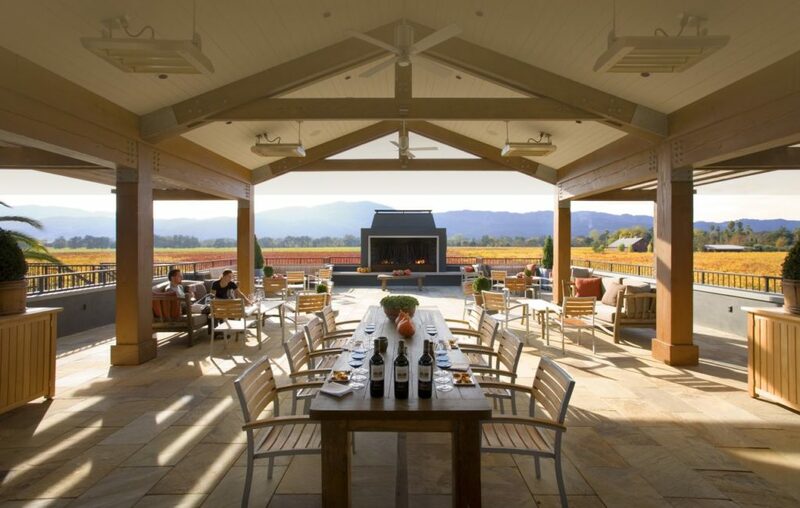 The In Pursuit of Pinot package includes a two-night stay at Hotel Healdsburg, complete with breakfast and valet parking, a reserve tour and tasting at Kosta Browne's winery in Sebastopol, and a multi-course tasting menu, designed by executive chef Scott Romano and paired with Kosta Brown wines. Package starts at $1,149. 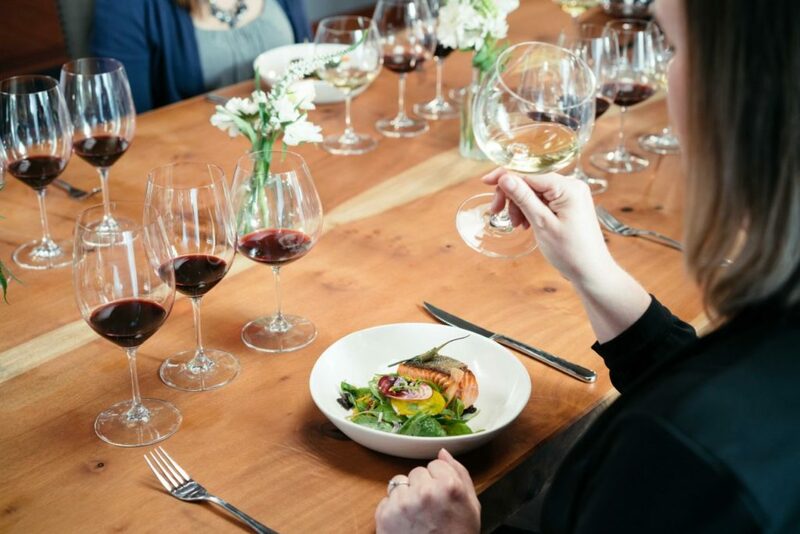 After the tour, Enoteca Experience guests settle in for a five course gourmet wine and food pairing created by the winery's estate chef, Michael Pryor. The menu uses meats from Snake River Farms, producer of American Waygu steak - basically the Lamborghini of meats. 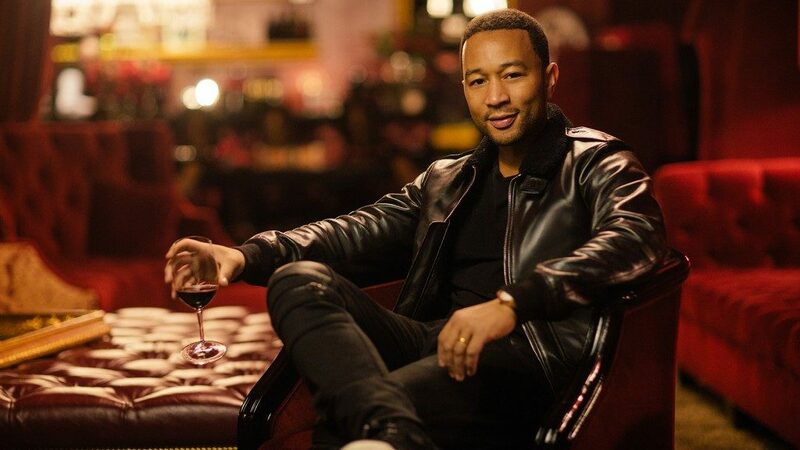 Recent menus include local salmon, lobster & grits, and Waygu eye of ribeye, the latter which is paired with Signorello's Padrone, a cabernet sauvignon that averages $170 a bottle. $175 per person. 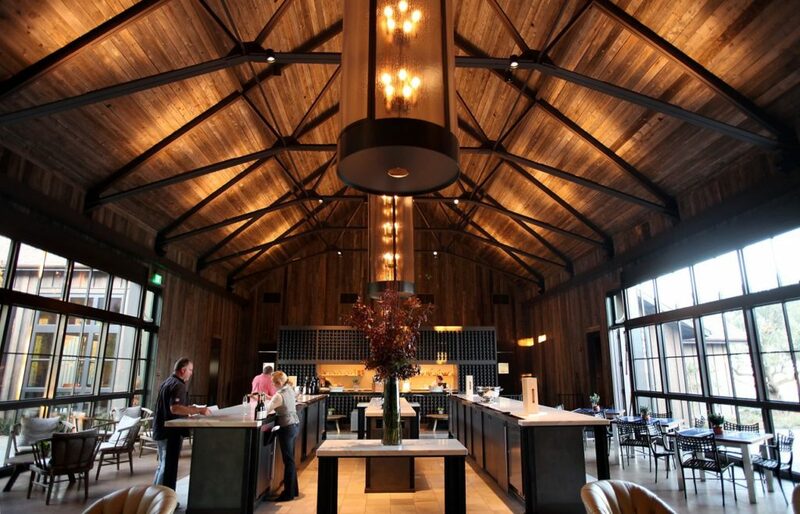 Next stop on Tour the Terroir is the newly renovated Gary Farrell Winery, where guests taste through a special flight of current and library single vineyard designate chardonnay and pinot noir in the winery's private salon. 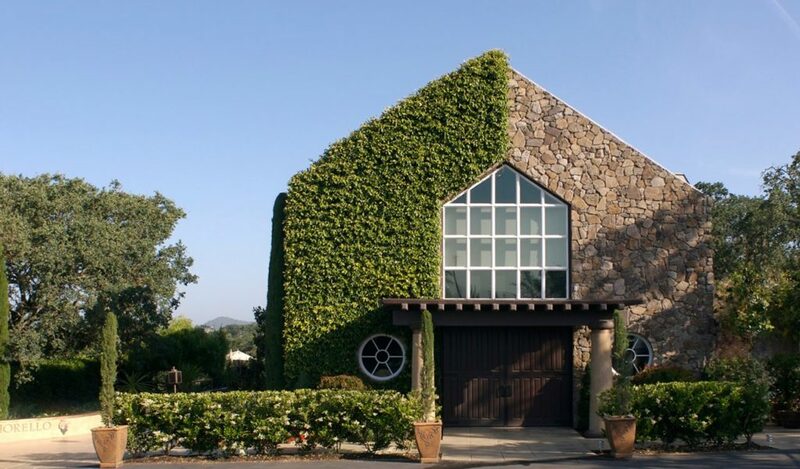 The final stop on the tour is Arista Winery, where a private tasting is offered on the mezzanine overlooking one of the sustainably-farmed estate vineyards. 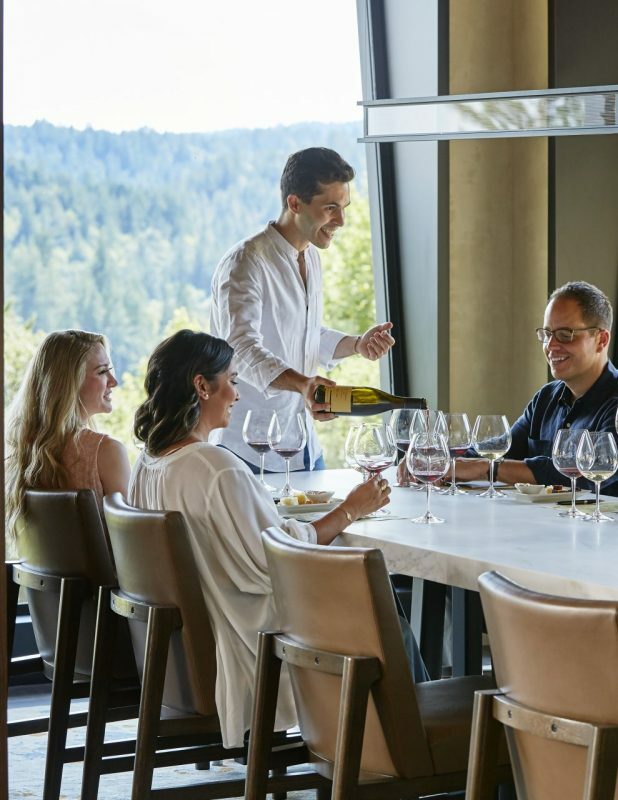 Arista's chardonnay and pinot noirs are paired with small bites prepared by the winery's executive chef. $200 per person. 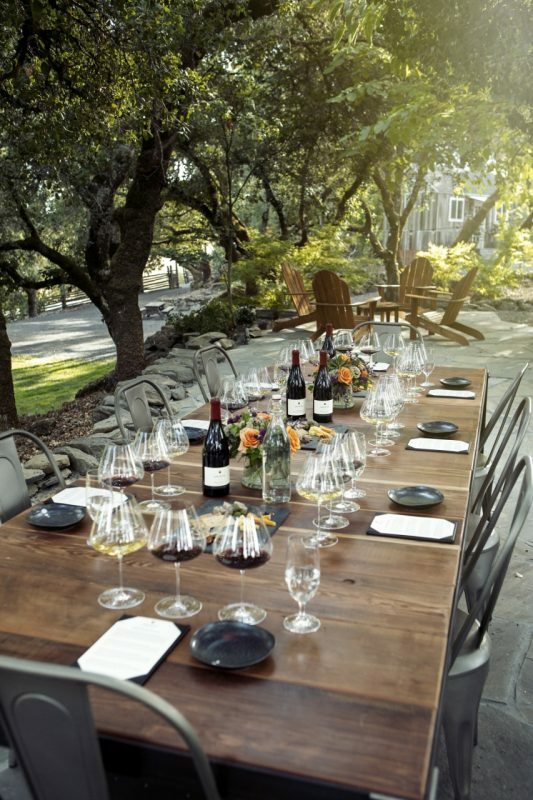 The three hour Bountiful Table experience offers guests the opportunity to explore Joseph Phelps wines from Napa and Sonoma counties. 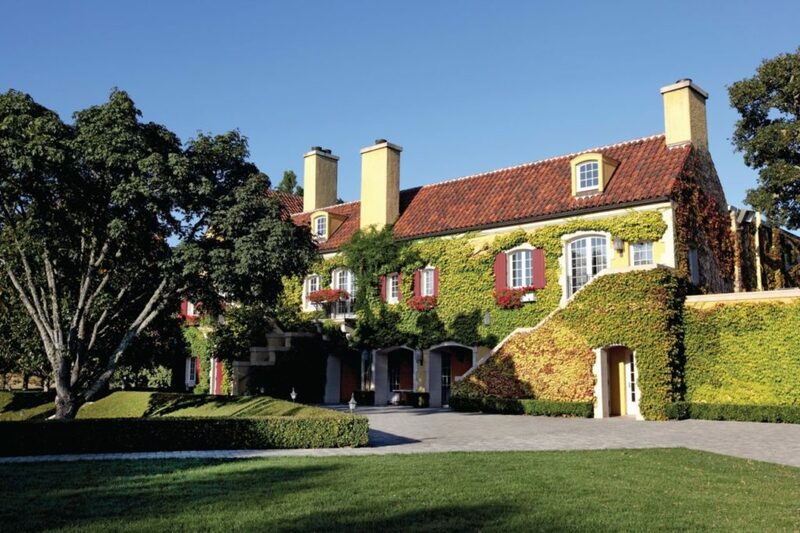 The visit starts with passed canapés on the terrace, overlooking estate vineyards, followed by lunch, which includes a pairing with Joseph Phelps iconic Insignia Bordeaux blend. Recent lunch menus included Morro Bay oysters, foie gras tortellini, and Liberty Farms duck with Australian truffles. $275 per person. 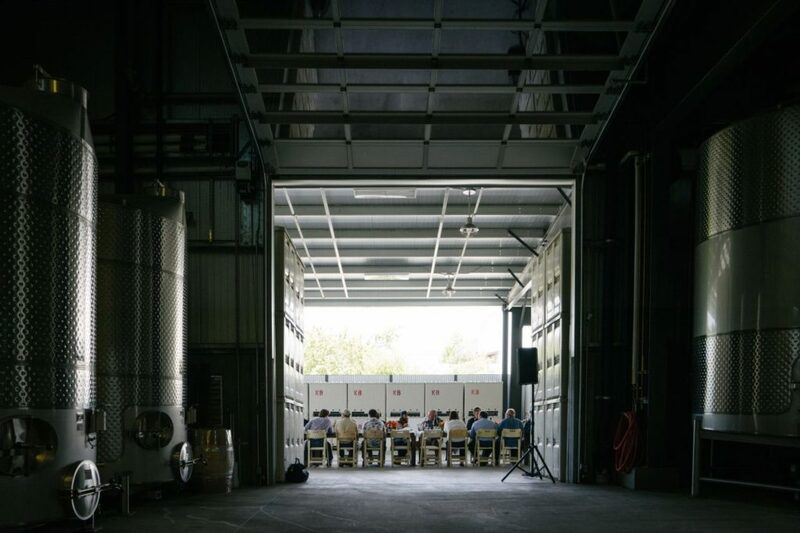 During spring, Gravel Series guests experience the blending process, creating their own custom blend alongside Dowell: in the summer, they tour the vineyards and learn about different vineyard farming practices. 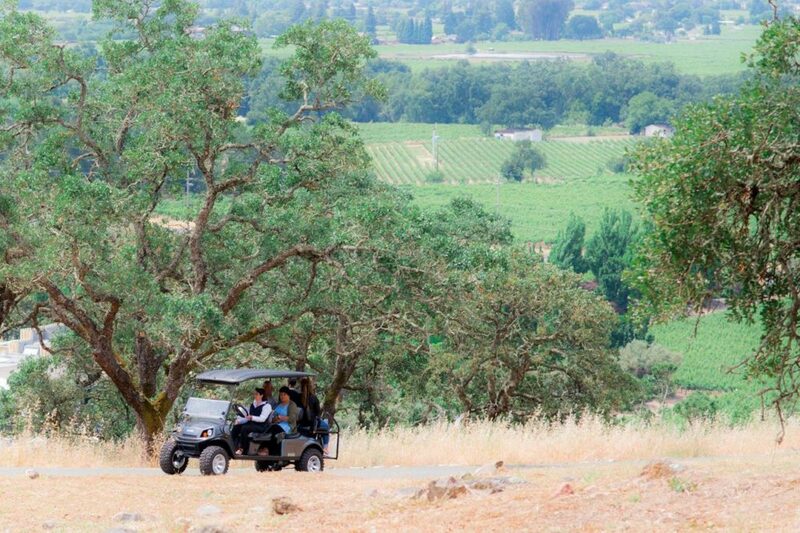 In the fall, guests participate in the harvest process, picking the fruit and helping out at the crush pad. 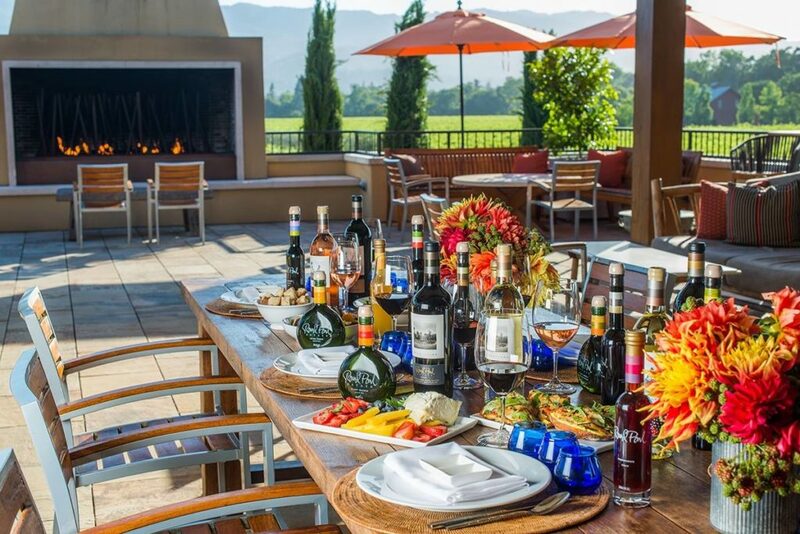 Lunch is served on Round Pond's winery terrace, with produce and cheese sourced from Napa Valley and paired with cult wines. $800 per person, $2,200 per person for all three seasons. A Futuristic Tasting: Davis Estates, Calistoga: Cave tours are a standard in Wine Country, but Davis Estates' Cave Tour is like something out of a science fiction novel. 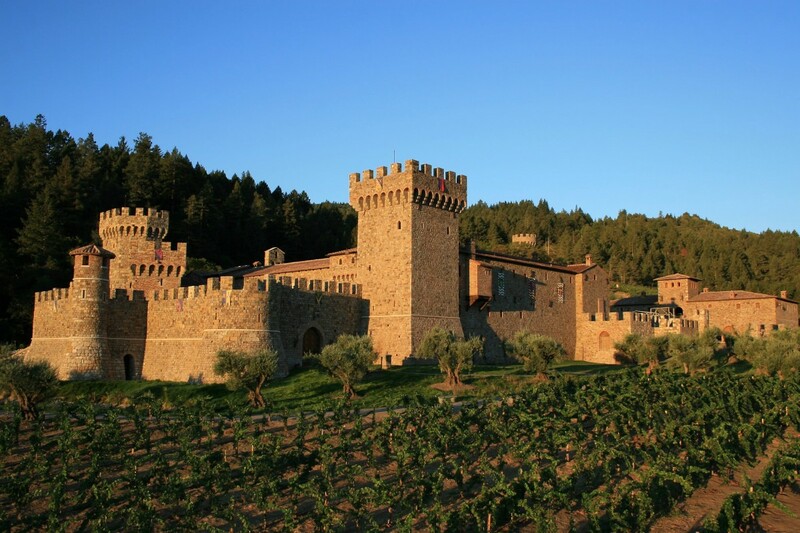 Guests first tour the estate vineyards, then walk through the Howard Backen designed winery and into 11,000 square feet of caves. 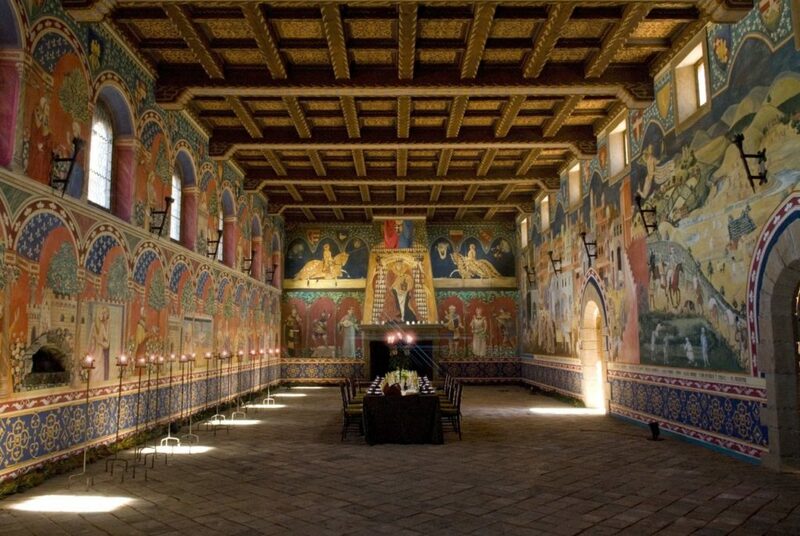 The tasting takes place in the Phase V Cellarium. 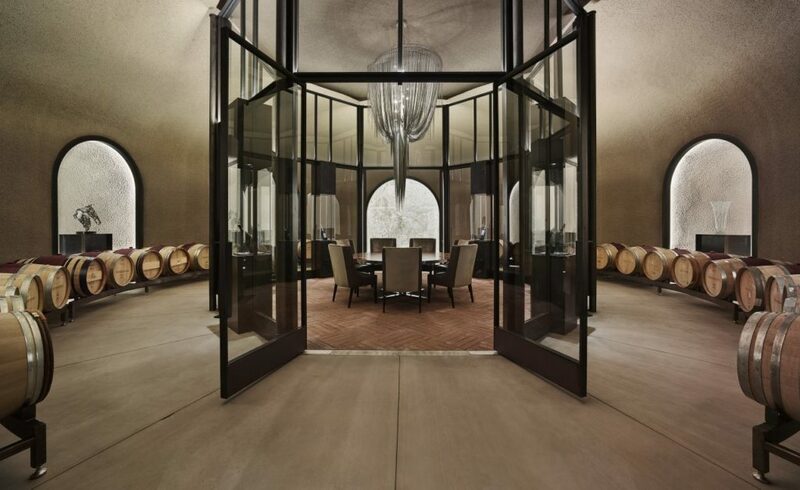 To enter, guests must use an infrared vein scanner, which unlocks four-ton double doors that reveal a 24-foot tall glass and steel enclosed octagon, also designed by Backen. The Phase V Cellarium, which looks like something out of Star Trek, is temperature controlled so Cave Tour guests can sip wine without being chilled by the cellar temperature outside. Guests are guided through a tasting of the Phase V wine series, created by Phillippe Melka. Only about 200 cases are made of the wine per vintage. The wines, which include petite sirah and cabernet sauvignon which retail for $105 and $185, respectively. The wines are paired with seasonal food pairings created by the winery chef. $250 per person. The Diamante Experience continues with guests making their own wine blend, a taste of library wines and a private, catered lunch. A photographer follows along, documenting the experience to be presented to guests in a leather-bound book. 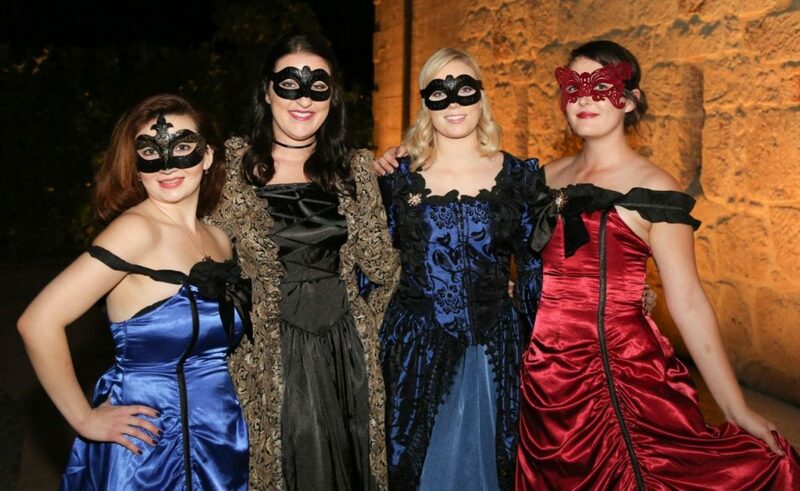 Guests leave the castle with a box of chocolates, 12 Rene Gabriel-Glas wine glasses, olive oils, 15 Montecristo cigars, tickets to their annual winemaker dinner, a wine club membership, and the icing on a cake: a barrel (288 bottles) of cabernet sauvignon, branded with the guests' name, as well as an empty barrel to take home. $20,000 per couple. 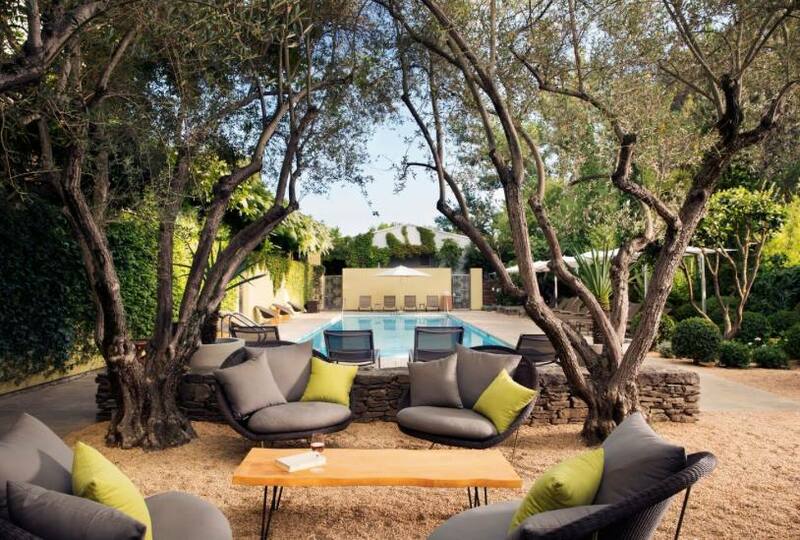 There are times when a budget holiday just doesn’t cut it: a honeymoon, an anniversary getaway, a 50th birthday trip – these are all occasions that deserve making a splurge on. 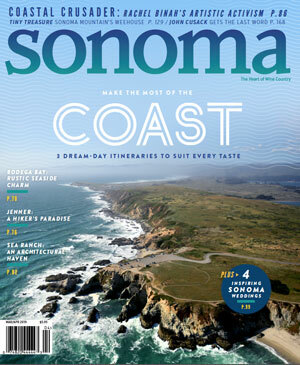 And in Sonoma and Napa Wine Country there’s plenty of ways to spend your hard earned dollars. But before you take out your checkbook or credit card, you’ll want to make sure you will get the best bang for your buck; don’t settle for an expensive, but less than extraordinary experience. 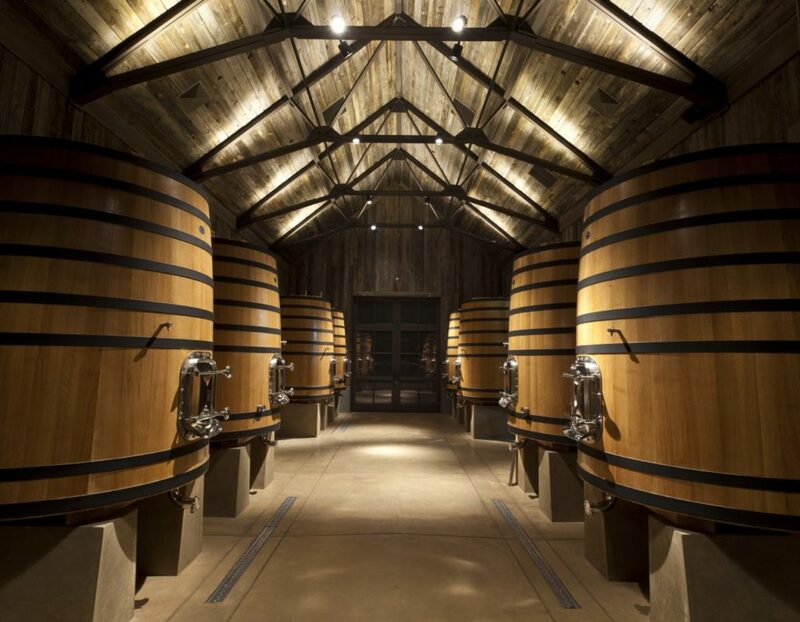 To aid you in your quest for luxury, we’ve picked out eight local wineries that have curated tasting experiences that cater to discerning visitors. 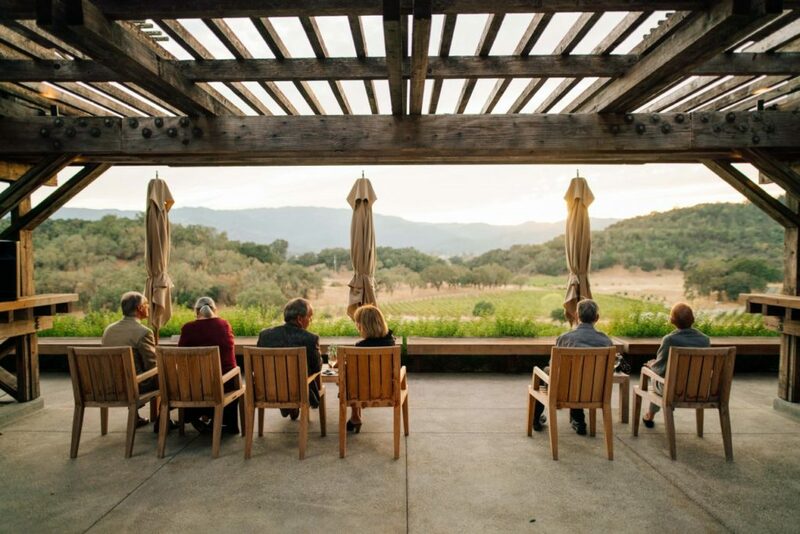 From exclusive behind-the-scene tours and immersive winemaking sessions to farm-to-table feasts with renowned chefs and vintners, click through the gallery above for your guide to the good Wine Country life. 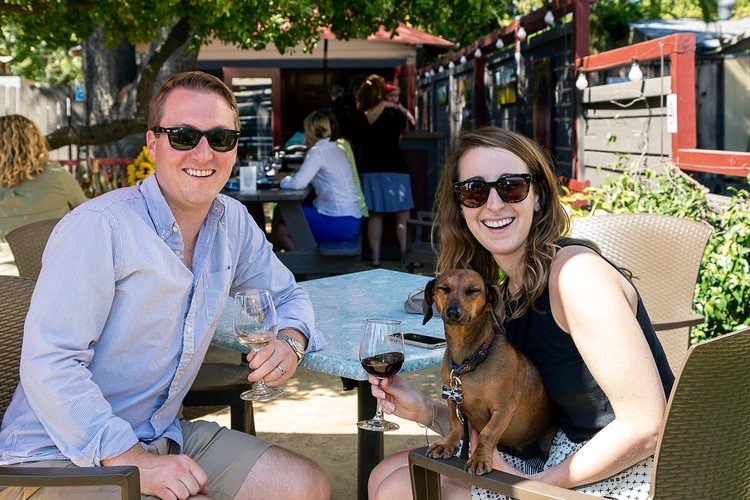 Pair your favorite things - vino and Fido - at these Sonoma wineries.